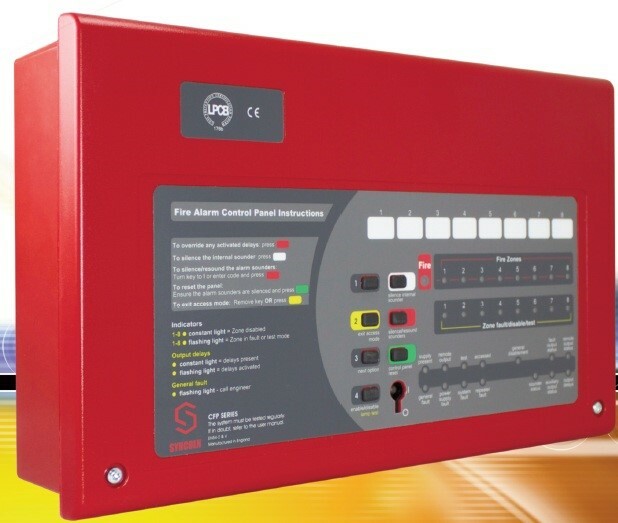 A powerful conventional fire alarm panel offering an array of user and installer-friendly features at a very competitive price, CFP conventional fire panels are LPCB certified to EN54-2/4. 2, 4 and 8 zone versions are available, each featuring four conventional sounder circuits, class change and alert inputs, on-board fire and fault relays and combined keypad/keyswitch entry. Panels are compatible with a wide range of smoke and heat detectors. there are numerous provided engineering functions such as selectable zone delays, coincidence and non-latching zone facilities and also Comprehensive test and fault finding facilities are equipped.